Hertha Berlin have handed young fans a surprise before the start of the 2018/19 season, announcing that children aged up to and including 13-years old are able to watch matches in Bundesliga at the Olympiastadion this season for no cost. The campaign titled ‘Kids4Free’ is the first of its kind in the Bundesliga, and will allow fans to purchase a maximum of eight free tickets per person for 15 of the club’s 17 home matches (excluding matches against Bayern Munich and Borussia Dortmund) in the coming campaign. 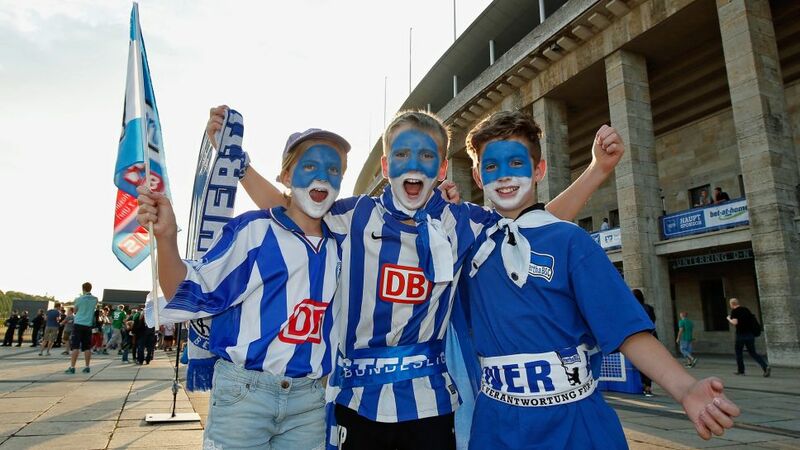 Children are the future of Hertha, on and off the pitch, according to the German capital club, who will now allow young fans to watch their heroes such as German international Marvin Plattenhardt, Salomon Kalou and Vedad Ibisevic for free. “We want to help turn youngsters into Hertha enthusiasts, members and fans of our club,” said managing director Ingo Schiller on the ticketing move, which is a first in Bundesliga football. Hertha begin their Bundesliga season with a match at the Olympiastadion against newly promoted Nuremberg, on 25 August and also end the season with a home game versus Bayer Leverkusen on 18 May, 2019. For more information on Hertha's ticket offer, visit the club's website here.